Professor Abdallah Raweh, Vice-Rector Ludes University Lugano, Switzerland Signs MOU with Dr Prince Martins Abhulimhen President JOSE Foundation to provide free and unconditional surgery for Nigerian children. International non governmental organisation with special interest on rights of African children, Jose Foundation is partnering a top United Kingdom cardiovascular surgeon, Prof Abdallah Raweh, on the treatment of indigent Nigerian children with heart related conditions. The move is part of the humanitarian gestures of Jose Foundation towards reliving Nigerian parents who have children suffering from heart diseases. In a statement yesterday in Abuja, president of Jose Foundation, Dr Martins Abhulimhen, said the foundation was saddened by the pains parents of children with heart diseases go through in search of medical solution, hence the need to sign a Memorandum of Understanding (MoU) with renowned UK Cardiovascular Surgeon and vice rector, Ludes University Lugano, Switzerland. Prof Abdallah Raweh, to bring his team of medical experts to Nigeria for the mission. Abhulimhen said that his office has received several ‘Save Our Soul (SOS)’ distress pleas from countless parents in Nigeria requesting assistance from the foundation, prompting his office to seek assistance from experts all over Europe. “It has become necessary to take this step in view of the number of calls from desperate parents to save the lives of their children who have heart related concerns and have no money for the huge medical bills accrued to the treatment. Some have lost some their children to the condition. “When you are on the social media, you encounter different situations and that is why the foundation is bringing the heart surgeons to Nigeria. “Professor Abdallah Raweh coming to perform surgery at no cost for children on the behest of Jose Foundation,” he said. 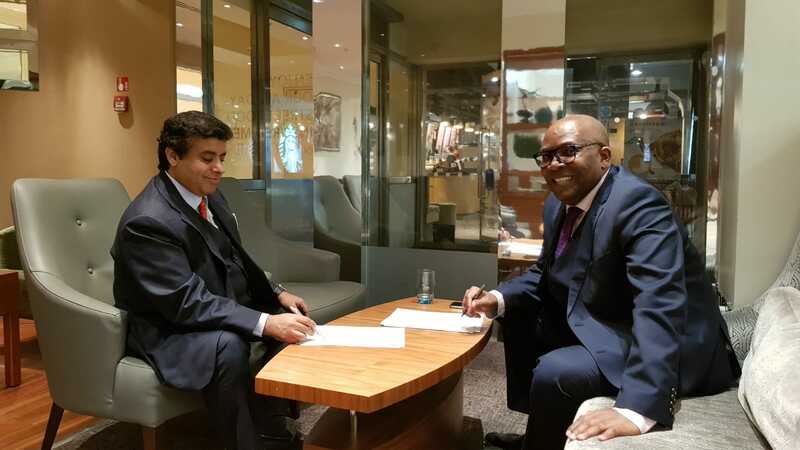 Dr Abhulimhen and Prof Raweh have recently signed an MoU to provide free and unconditional surgery for Nigerian children, especially the very poor and less privileged. The surgeries will be done locally in Nigeria by an international team of cardiac surgeons on the request of Jose Foundation. This is part of Jose Foundation’s commitment towards safeguarding the lives of young Nigerians and a contribution toward building a strong and healthy Nigeria starting with children. He further stated that Jose Foundation’s humanitarian agenda cut across Africa and the world over, championing the crusade against child sexual exploitation (CSE). According to him, Prof Raweh is a renowned cardiac surgeon that has carried critical heart operations on children in the United Kingdom, Italy and globally. Raweh, has been honoured by Pope Francis of the Vatican, in recognition of his humanitarian efforts and voluntary services to serve adult and children heart patients in Italy, United Kingdom and African countries. He is a global award winning cardiac surgeon and a member of the European team for the treatment of heart deformities of children. Pope Francis received Prof Raweh at his office in Vatican, where he expressed his appreciation for the medical and humanitarian efforts of the Arab doctor, who has been keen on volunteering to conduct surgeries for children suffering from cardiac malformations in Italy, United Kingdom and African countries. Meanwhile, Dr Martins Abhulimhen is to be awarded humanitarian award of the year 2018 in Ghana. Abhulimhen is a global philanthropist, humanitarian aid provider, a recipient of numerous global awards and a passionate enthusiast for safeguarding children and young people against sexual exploitation.